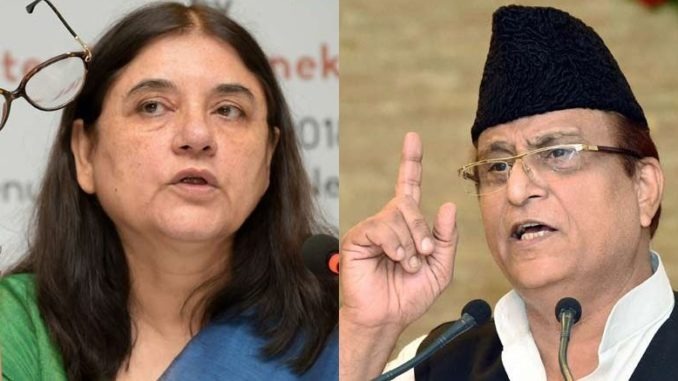 Election Commission Bans Maneka Gandhi And Azam Khan, Who’s Next? After Yogi Adityanath and Mayawati, the Election Commission barred two more senior political leaders for violation of the Model Code of Conduct on Monday evening. Samajwadi Party leader, Azam Khan was barred for three days for his “indecent and derogatory” comment against Jaya Prada. While, Union minister Maneka Gandhi was banned for two days for communal comments. The Supreme Court had pulled up the Election body for failing to take action against leaders who violate the model code of conduct. Soon after which the Election Commission of India barred UP Chief Minister Yogi Adityanath and Mayawati, for asking votes in the name of religion. Maneka Gandhi, the BJP candidate from Sultanpur, Uttar Pradesh told Muslim voters in a gathering that she won’t be inclined to fulfil requests if Muslims don’t vote for her. Her three minute video speech had since then gone viral on social media. She was heard saying, “If my victory is without Muslims, I won’t feel that good… Then when a Muslim comes to me for work, I think, ‘Let it be, how does it matter’? It’s all give and take, isn’t it? We aren’t all sons of Mahatma Gandhi, are we? (laughs). It’s not that we keep on giving and then losing in the election. This victory will happen with or without you”. In the case of Azam Khan, the SP leader made a cheap comment against his electoral rival Jaya Prada. The Uttar Pradesh police also filed an FIR against him for disrespecting the woman leader. The action taken by the Election Commission are still not stringent enough or harsh. Many politicians who have violated the model code of conduct have not yet been actioned upon. It was only when the Supreme Court pulled the poll body did the EC start taking action. Hopefully this would instil fear in the candidates, and reduce the hate and dirty language within the political space. Election Commission Bans Maneka Gandhi And Azam Khan Who's Next?